There’s a huge demand of traffic in the cryptocurrency industry and bitcoin advertising networks are here to provide that. Advertising networks are advertising platforms that allow web advertisers to promote their content on various sites in exchange for payment. While at the same time the ads can be published on other people’s site to help publishers. There are multiple ad networks to choose from, they include Cost Per Click(CPC), Cost Per Thousand(CPM), Cost Per Acquisition and more. Advertising can help you monetize your traffic, this cases you earn bitcoin instead of regular money. Some of the this bitcoin advertising sites are considered the best bitcoin banner advertising sites. Please not that none of them provide free bitcoin advertising you will have to pay some bitcoins. I’ll give you some of the bitcoin ad networks that will enable you to promote your site. If you are a publisher/someone who owns a website and you want to earn then this ad networks will help you. A-Ads or Anonymous Ads is on of the major bitcoin advertising networks. Is good for providing privacy and transparency within the cryptocurrency industry. Is used by most web publisher who want to keep their privacy intact. Most people use it to promote faucets, news site, ICOs, but they don’t restrict any type of content. Anonymous Ads offers two types of advertising methods, Cost Per Click(CPC) and Cost Per Thousand Impression. When it comes to payments A-Ads seem to keep their promise when paying their publishers. Publishers earnings are sent automatically when they reach the minimum earnings. Payments are done in bitcoin and are sent to the publisher’s bitcoin wallet. Mellow Ads has been operating since 2015 and a bitcoin related ad network as well. It has some high requirements rankings in terms on Alexa. A site must be a bit low than 100 000 on Alexa to be accepted. Another thing a site must have been online for at least 90 days, 3 months to be exact. Mellow Ads over 250 million ad impressions per day and the network campaigns start from 0.00001BTC. In terms of advertisements, Mellow ads provides Cost Per Click(CPC) and Cost Per Thousand(CPM). Publishers have two types of ads to select from, banner ads and pop under ads. They also provide automatic payments. BitMedia prides it’s self to have provided over 48 789 359 impressions in over 4137 websites. 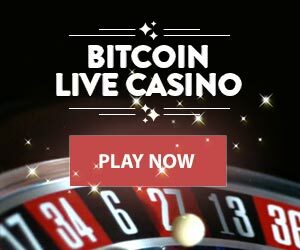 This Ad network is suited for bitcoin related niche sites. BitMedia is also one of those trick ad networks, you need high traffic to be approved. Your website should be in the cryptocurrency niche and it must suite them for them to accept it. BitMedia try’s to meet Google AdSense standards by applying strict rules. It uses internal and external anti-fraud system, traffic is processed a few times. Prior to viewing, during the viewing and after the clicks. CoinAds gives you a $10 welcome bonus of free advertising credit. A bitcoin publisher can be paid instantly via their bitcoin wallets. The payments are sent on weekly bases in via Bitcoin or PayPal. Cointraffic was established in 2014 is not one of the longest serving bitcoin ad networks. It offers CPM and focuses on cryptocurrency sites. This Ad Network has no restrictions even adult content is allowed. It provides both CPM and CPC ads and pop under ads. The minimum withdrawal for publishers is 10EURs and payments are in bitcoin. RunCPA is cost per acquisition bitcoin advertising network that was launched in 2015. This ad network usually works for high ticket programs. If you skills in affiliate marketing then RunCPA could be the platform where you can find products to promote. RunCPA payments are in bitcoin and it can help you increase your bitcoin earnings. Coinzilla is also one of the bitcoin advertising networks that are well established. It requires quality traffic sites before approving them. As part of their requirements your website should be at least 3 months old. Payments are done in bitcoin and the minimum payout on Coinzilla is 0.001BTC. CoinURL is a different kind of bitcoin advertising site .It is the only popular url shortener and one of bitcoin advertising networks that pay in bitcoin. The site has been online for years now. A url shortener is tool to help you shrink your urls before posting them on social media or anywhere else. Advertisers can buy ads on CoinURL while publishers can shorten their url’s using this tool. The publisher earns bitcoin every time their link is clicked.